Anderton Mill is set in an Area of Outstanding Natural Beauty, located in the Valency Valley, upstream from the fishing village of Boscastle, in the ancient parish of Lesnewth. 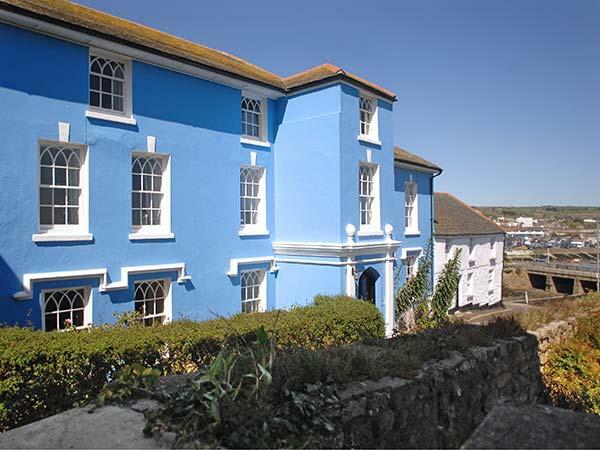 Sleeping four in two bedrooms, it provides superb family accommodation in a beautiful location. Renovated by the owners over a period of twenty years, it is very much our ‘first home’, rather than simply a holiday cottage. The cottage is tastefully furnished, and the kitchen and bathroom have recently been refitted. The spacious living room includes a massive oak and elm settle, along with an easy to use woodburning stove. There is plenty to do within the 7.5 acre grounds as well as excellent local walks in the valley. The property is only a short drive (or indeed a walk for the fit!) to the North Cornish coast and its varied beaches. Space, peace and tranquillity are the hallmarks of this unique rural retreat. The cottage is set in an idyllic and extremely secluded location by a beautiful trout river. The three patios are real sun traps; the most recent addition, 'the riverside terrace', is complete with sun loungers, whilst the upper patio has a built-in barbeque and teak furniture. Enjoy the bluebell wood and tree house for children and adults! This ancient watermill has been converted with flair and finesse and includes slate floors, deep oak window seats and contemporary furnishings. The cottage is just three miles from the North Cornish coast and its stunning beaches and is a short drive away from moorland walks. Well what can I say we have had yet another stunning week at Anderton Mill it really is a little bit of heaven. The weather was amazing. The mill itself is so beautiful and the surroundings are so peaceful. We absolutely love it here and would highly recommend it infact we love it so much we have just booked it for a fourth time can’t wait. Wow...a beautiful haven with idyllic surroundings. The cottage is very roomy and equipped with everything you need for your stay including an amazing log burner in the lounge, outdoor bbq and fire pit. 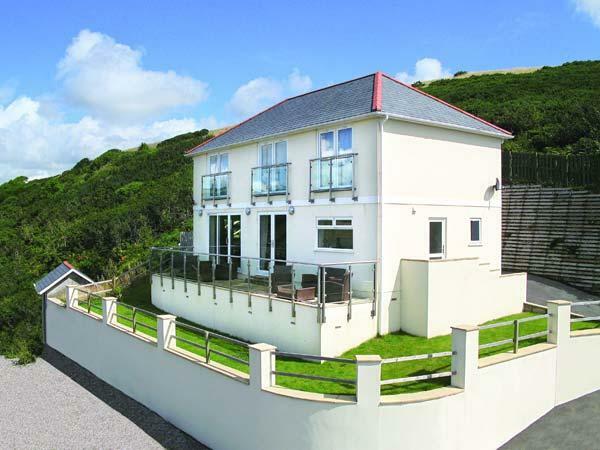 The cottage is within walking distance (an amazing walk) to Boscastle itself. Not too far a car journey away from some fantastic beaches and fishing harbours like Padstow and Port Isaac. A fantastic holiday for my husband and I and our 9 year old son who absolutely loved it. This was our first time at Anderton Mill and we will be returning. Make up of party: We were a family of 3. My family been visiting this cottage every year since 2005. 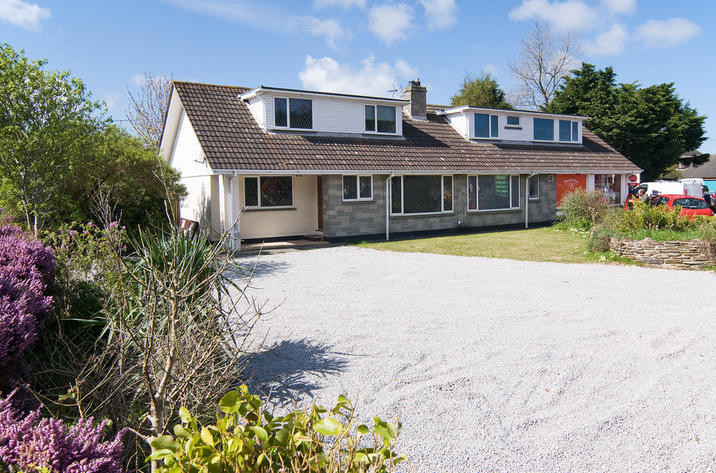 We love its idyllic location alongside the River Valency and surrounded by woodland. It is very peaceful as it is set well back from an already quiet road. There is a abundance of wildlife (we saw deer and lizards this visit) and the extensive gardens provide something of interest for all age groups. The children especially enjoy visiting the tree house, an adventure in itself! Inside, the cottage is very spacious and it has everything a family needs to ensure a comfortable stay. the wood burning stove is a welcome feature if the nights are cool. The owners, Pete and Kay, could not be more helpful and they have continued to make improvements to the property each year, but still keeping the character of the cottage. It is a real gem and we can't wait to return in 2018. Make up of party: Family and four children. Lovely cottage in superb condition. 2 good sized bedrooms, large lounge & a kitchen full of all amenities. Excellent garden close to a stream, very scenic. In a good location, close to shops and a local pub. A beautiful cottage with modern facilities set in a unique secluded location with its own provate grounds featuring a trout stream, ponds, patio and barbecue areas, tree-house, local walks etc. We really enjoyed our stay and I'm sure you will too. Anderton Mill is the best cottage we have ever stayed in. It's set in the most beautiful valley with amazing well kept gardens equipped with patio furniture to make the most of every drop of sunshine. The tree house, stream, pond and abundance of wildlife are perfect for children and adults too! Inside the cottage is spotlessly clean and has everything you could ever need. If you want a truly 'escape from it all holiday' this ticks every box. It is close to some beautiful beaches all well recommended by the owners. A welcome return visit for us, for some much-needed rest. We spent hours relaxing by the stream, and I've taken up a new hobby: butterfly spotting! 16 different varieties recorded over the seven days, including the rare brown fritillary. Such a wonderful, peaceful, idyllic setting. Amazing characterful property, completely secluded from the outside world with no fear of being overlooked or overheard, ideal when you have an exuberant autistic child. The excellently equipped kitchen was very much apperciated by the mouths hungry from days at the beach. Flopping in front of the stove post meal was a treat while planning the next day over a glass of wine (the fact the satalitte TV showed the Tour de France was a selfish plus). Badminton was played, remote controll cars were crashed and we even set up a rope swing in the trees. Bedrooms lovely, the trip downstairs to the loo a minor inconvenience. Make up of party: Mum and dad and two girls. What can we say, it has all been said before in the previous reviews. Quite, peacefull, get away that is a real gem of a find. We will definitely be visiting again. Make up of party: Married couple, looking for a bit of paradise. A beautifully restored cottage with nearly all the amenities one could ask for. The multi fuel fire in the living room was a real hit and we made full use of it as the weather was decidedly chilly. On arrival we were greeted with a bottle of wine which was very nice and the owner Pete rang on the first evening to make sure we had arrived safely and were comfortable. Anyone who visits should take a look at the album showing photos of the building during and after the floods at Boscastle, how lucky were Pete and Kay that they didn't lose this lovely home from home! We were even able to take our beloved dogs, what a find!! (Note: There is no mobile phone signal but who wants or needs it when you are on holiday????? A quick stroll up the drive got us a signal on Orange and there is a land line on the premises. What a wonderful cottage in a great secluded peaceful location with every aminity needed to make it home from home from the excellent fitted kitchen and utility rooms to the cosy living room and wood log burner. The patio riverside setting making it perfect for Al Fresco dining and relaxing. Truely a cottage for all weathers. We will definitely be returing again and have no hesitation in recommending this cottage. The owners, Peter and Kay, have done a fantastic job renovating this cottage and the grounds and were very pleasant and helpful throughout our booking. The cottage was very comfortable with a great wood burner and we were particularly impressed with the riverside terrace. We would have enjoyed our stay at Anderton Mill wherever it was so it was a bonus being so close to some favourite coastal walks and beaches (another vote for Trebarwith Strand!). Such a beautiful cottage, lovingly restored, in a peaceful idyllic location. The kitchen is equipped brilliantly - It had everything we needed to cook our family meals. Beds were very comfy and the whole cottage was lovely and clean. We particularly enjoyed our cosy nights in front of the wood burning stove, and our 3 year old loved the tree house - a real treat for him. We can't wait to go back. This cottage looks like it should be on a postcard, it is wonderful with a babbling river running at the back. When you enter the the cottage you will not be disappointed it has everything you need and unlike a lot of cottages we have stayed in it is really comfortable. The owners Pete and Kay have done a fantastic job and are very helpful. There is a pub in the next village of Trasparett, that we would recommend lovely food and a talking parrot called Monty. We stayed a week and it was not long enough even though the weather wasn't kind. Overall we had a wonderful time and will definately be back. A beautiful cottage, set in a very peaceful location. The inside has been tastefully decorated in keeping with the buildings charactor and is well equiped with all you would need for your stay. Make up of party: I stayed with my Husband, daughter and her boyfriend . We even took our dog. Make up of party: myself and Husband , daughter and her boyfriend. We even took the dog. I thought Anderton Mill was going to be good, but it exceeded even my highest expectations! Wonderful idyllic retreat in a stunning setting. Sitting on the warm back patio watching and listening to the stream was just heavenly. The cottage is very comfortable and equipped to a very high standard. We all can't wait to go back! This was our 3rd visit to the cottage and as always enjoyed by all. If you’re looking for peace and quiet in a tranquil setting then this is an ideal place. We escaped to Anderton Mill and had the most relaxing week ever. Idyllic! We return year after year to this perfect little retreat. Lovely cottage, beautiful location and no connectivity! Make up of party: Couple plus hound joined by brother and sister-in-law for second half of week. What a lovley "hideaway" and a credit to the owners for all the hard work they've put into it. 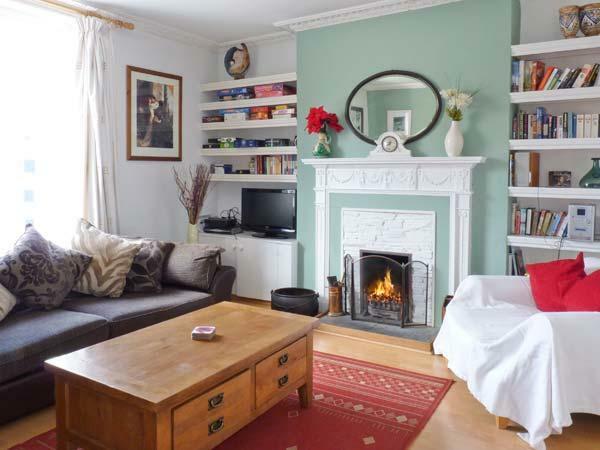 Quaint, comfortable and in an idyllic setting, not far from the coast. Do note that you won't get a mobile signal here so you can really unwind. Make up of party: Mature couple. A second visit to this beautiful cottage in a peaceful, delightful area. The cottage is well equipped, comfortable in all respects (kitchen recently refurbished) and is surrounded by delightful terraced gardens for total relaxation. The area is a paradise for walkers. We return year after year and are always thrilled with the well equipped and beautiful cottage not to mention the fabulous location. With no connectivity to the outside world it is the perfect holiday hideaway. Make up of party: Couple plus four legged friend joined by brother and sister-in-law for second half of week. This was our 3rd visit in 18 months and it was as breathtaking as ever. The cornish weather was not exceptionally kind to us this time but that gave us the perfect oportunity to appreciate our immediate surroundings. Just simply stunning!!! Make up of party: Husband and wife and Jasper the dog! Amazing setting for a beautiful old mill. Totally secluded with woods surrounding it and a lovely small river running through the property. We took our dog who thoroughly enjoyed exploring the everywhere. Perfectly located for Boscastle and Tintagle, and a lovely local pub about a mile and a half away which has been used on location by Dr. Martin. The cottage was spotless and had everything you could need including a most welcome multifuel burner. Highly recommend! Make up of party: Late 30's early 40's couple and their very happy dog. Superb cottage. Well equipped with everything that you could wish for. Fabulous setting by the babbling brook. The weather was not kind to us until the end of the week.It rained and rained. We only saw the best of the setting once the sun came through on Friday. 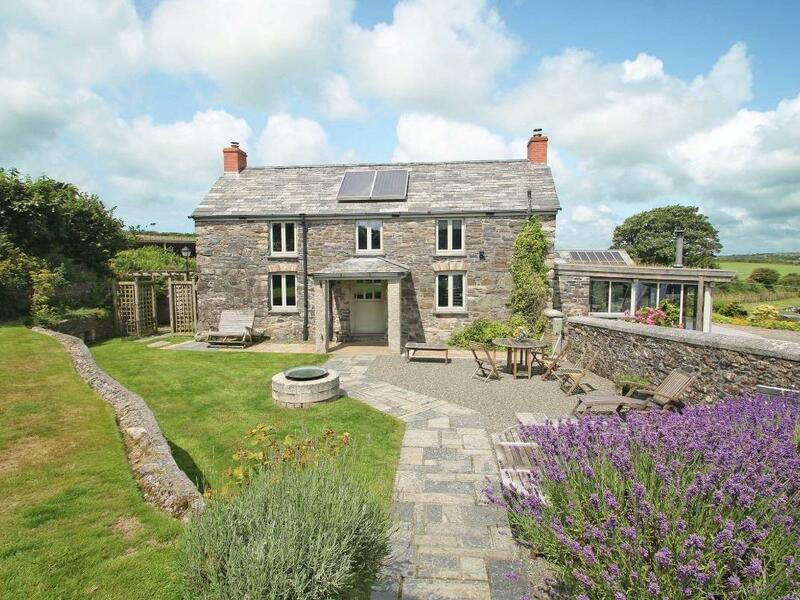 Truly a wonderful mill cottage in beautiful surroundings. So peaceful with no chance of any noisy neighbours. Shared only with the wildlife. A couple of miles from a main 'A' road down a country lane makes it seem you have your own part of unspoilt Cornwall. Easy to reach Boscastle and Port Isaac our favourite parts of North Cornwall. Cottage was well equipped and clean yet retaining its period charm. Make up of party: Family sharing, flying vist from son passing through from Truro with his Campervan. Daughter also stayed a night. Beautiful historic watermill setting. Absolute peace, quiet and tranquility. Bats in the eaves, a bird of prey in the fields and other river wildlife. Remote, but lovely open top motoring to nearby Boscastle and Padstow (Rock). Everything you could need in the house, spotlessly clean. Make up of party: Husband and Wife. An idyllic spot to get away from it all. Beautifull suroundings and characterfull property with all the mod cons. Our 3 year old loved the grounds and the river and so did the dog both had a fabulous adventure every morning especially up it the tree house or (base camp H.Q.) Well positioned for lots of things to do and great beaches, lots of surfing and rock pooling. We decided a week was not long enough. Make up of party: Mum, Dad, Jim aged 3 and Rosie the labrador aged 4. Absolutely stunning. Brilliant location, perfectly isolated for peace and quiet. Beautiful countryside views. Would definitely recommend and re-visit again! Anderton Mill is a charming, comfortable, very well equipped cottage. It is surrounded by lovely grounds and a beautiful terraced garden by the side of the Valency river with table and sun loungers. Its character reflects the loving care of its owners and we appreciated their sharing it with us. Make up of party: We took our grandchildren aged 11 and 9 on holiday with. They loved the cottage and grounds, particularly the wonderful, sturdy tree house. They floated paper boats down the river and played safely in its shallow flowing waters. Also enjoyed playing badminton in the garden and had fun with a frizzbie. They aslo loved picking blackberries for a pudding. All in all a lovely holiday. Thank you to our welcoming hosts. Lovely cottage no neighbours very quiet. Great beaches near by.This was our second visit will be going back. This is our 2nd visit to the cottage and the only way we can describe it ... "a hidden gem with an air of enchantment". This was our 2nd year in a row after a great holiday last year. Peace and tranquility unsurpassed, and such a beautiful setting. 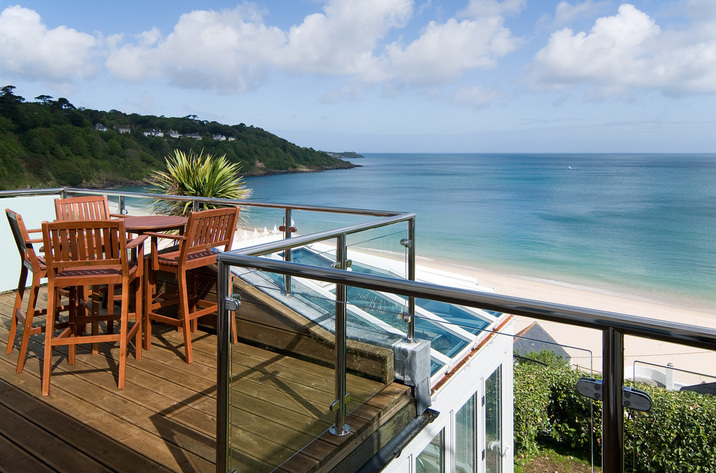 Surfing beaches within easy reach, day trips to NT properties, local walks in the evening quiet of the Valency Valley. Wonderful. We have been coming to Anderton Mill for the past seven years and it just gets better with every visit as we continue to find new things to do and new places to explore. It is the perfect base and very difficult to leave at the end of ones stay. We loved having the ducks for company last year. The wood burner gives the cottage a warm and cosy feel at the end of the day and the peace and tranquility of the setting could not be bettered. It is the perfect antidote to the hectic lives we all lead. Great credit must go to the owners, Pete and Kay, who have lovingly restored the cottage and allow us to enjoy its comforts each year. We will return, for sure. Make up of party: Joined by two friends for the first two nights and then my daughter and her partner for the next three. Final two nights on our own. This is a fairy tale cottage, beautiful in every detail. Adorable surroundings, very nice beaches. We enjoyed every minute of our holiday in the cottage and very much hope that we will have the opportunity in the future to refresh our memories with another stay. Second visit to this cottage the previous being 10 years ago. We have fond memories from the first and will have the same from this. Nice comfortable cottage in pretty, quiet surroundings. Our children and dog had an enjoyable week despite the inclement weather. This was our 2nd visit to this loverly cottage. It really feels like home from home. The cottage itself is in a superb location and the sound of the river whilst relaxing, whether reading a book or just enjoying a glass of wine is almost hypnotic. The interior is very comfortable and traditional and very well decorated to a high standard. Perfect place to let the world drift by for a week. A magical place perfect for couples or families. 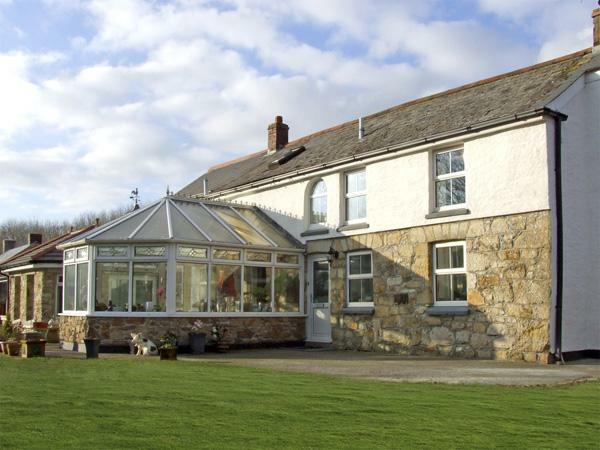 The cottage, well equipped with great decor and facilities, is a great base for exploring the north Cornwall coast but, come rain or shine, staying at the cottage is a holiday in itself. Breakfast on a sunny terrace at the front of the cottage,lunch on a spacious terrace in the back garden, bbq on the hidden terrace in the evening. While away the day lounging in the secluded garden listening to the babbling river, or "plodge" in the river tickling trout. Pond dip in the large pond. Play poohsticks or race homemade boats from the ford bridge. Feeling adventurous? Set up base camp in the hidden tree house - comfortable enough for young explorers to sleep overnight if you dare! The setting is a wonderful opportunity to paint, draw or photograph. Spot deer, badgers, birds, ducks, foxes... Walk up the hill to the local pub or along country lanes exploring local flora, St Juliot church and the Valency Valley. Pooring with rain? Light a fire in the wood burner and cosy up with a good book. Bliss. We've been coming to the cottage for the last 16 years,intend to continue to do so, and cannot recommend this cottage highly enough. 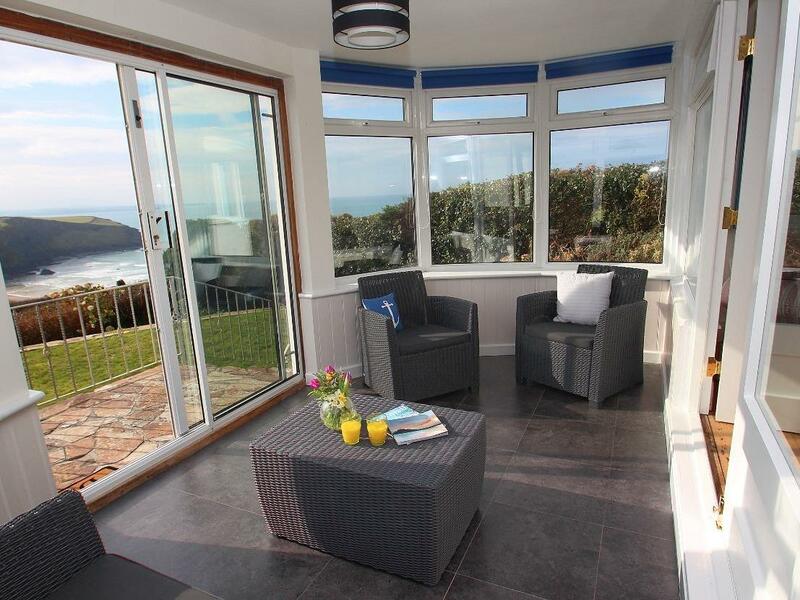 A magical place ideal for couples or a family, perfect for exploring the north Cornwall coast. The cottage is well equipped and decorated to high standard. Breakfast on the sunny terrace at the front, lunch on the slate terrace in the secluded back garden, bbq on the hidden terrace in the evening. Play poohsticks or race home made boats from the ford bridge. Pond dip in the front field or lounge in the back garden listening the river babbling by. Feeling more adventurous, then "plodge" in the river trout tickling. Young adventurers can set up base camp in the secret tree house, comfortable enough to sleep in if you dare. Look out for deer, badgers, ducks and the odd cow! Perfect setting for some drawing, painting or photography. Weather not so perfect? Light a fire in the wood burner and cosy up with a good book. We've been coming to the cottage for the past 16 years, and intend to continue to do so. Make up of party: Myself and my wife. My brother and his wife. found neccessary for a few lovely nights in and our own cuisine cooked in the more than adequate fully fitted kitchen. Make up of party: Myself,My brother and our wives. This was our fifth visit and definitely won't be our last! The cottage is set in a truly beautiful location and in a wonderful part of Cornwall with plenty of walks right on the doorstep or the dramatic Atlantic coastline just a short drive away. The cottage itself is very well equipped, comfortably furnished and decorated to a very high standard. It is the perfect retreat, a great place to recharge and come rain or shine we always leave with heavy hearts eased only by the thought of returning again next year. Make up of party: Husband and me, joined by two very particular German friends from Monday onwards. They too thought the Mill was wonderful and will be recommending it to their freinds back home. Superb cottage,well equipped,set in beautiful surroundings, nicely remote for absolute peace and quite, but well placed for touring a lovely part of Cornwall,local shop ideal for immediate things,as is the Pub!! Will definitely visit again and will recommend to friends as the ideal getaway location. Make up of party: Wife and my goodself. Lovely cottages - we have been 3 times and stayed in two different cottages. They are so well decorated and fitted out, we have stayed in many holiday cottages over the last ten years and these are some of the best we have tried. Very clean, lovely comfortable beds and so convenient for Beverley which is a lovely market town. This is a truly relaxing holiday cottage. Within a few minutes of arriving the cottage felt like home. As a location for visiting the sights in Cornwall it was ideal. This cottage was recommended to us by friends and we would have no hesitation in recommending it to others. Simply Stunning!!! The most beautiful cottage in a superb location. Clean, comfortable, relaxing what more do you want!! This was our second visit and it was just as breathtaking as the first, we shall definately return again hopefully soon. Make up of party: Husband and wife for a week plus sister and her husband for the bank holiday weekend who incidently recommended the cottage to us and have visited on many occasions. Had trouble getting them to leave!! Cottage Review: We had the most wonderful holiday, in the main staying put to enjoy the surroundings and beautiful weather we were blessed with. Everything was absolutely perfect, as were our two previous visits. Cottage Review: May I take this opportunity to congratulate you both on such a stunning property in such a beautiful location. We all (husband, me and Jasper the dog) had a brilliant week, enjoying the local sights as well as the sunshine on the terrace by the river. The Cornish weather was extremely kind to us. Cottage Review: We had another wonderful holiday and the weather allowed us to make use of the grounds and outside sitting areas! We were, as always, sorry to leave. As you know, this was our fourth visit; we love our holiday at the Mill and would like to book another similar week next year if we may. Once again, very many thanks for sharing your wonderful cottage with us. Cottage Review: Thank you for sharing your lovely cottage with us. You have restored it beautifully and we enjoyed sitting by the lovely Valency River in peace and tranquillity. The local walks in the valley and along the coast were very beautiful and we have never seen such a profusion of wild primroses and other wild flowers, mosses and lichens. A delightful experience and one that we hope we can repeat. Cottage Review: Just a quick note to say that we thoroughly enjoyed our stay in your cottage. The landscape and views are fantastic. The kids particularly enjoyed splashing in the stream and looking for wildlife. Cottage Review: We have just had the most gorgeous week at the Mill and really did not want to come back! It just gets better. The garden is looking lovely and we made good use of the patio and BBQ area. The girls have had great adventures by the river and pond, amongst the trees and in the tree house. Cottage Review: Just a quick note to tell you how lucky we were to have stumbled across a picture of your fabulous holiday cottage in Burford. We have just spent a fabulous week adventuring, fishing, relaxing and basically being outdoors as much as possible! The cottage was perfectly equipped for a family holiday and our 8 year old thought he had died and gone to heaven to pull up outside his very own tree house!! Cottage Review: We had a wonderful week – there seems to be a general consensus that it was our best holiday due in large part to your beautiful holiday home. If it was mine, I am not sure I would be so generous in sharing it with others! We would very much like to book another week next year. Cottage Review: Thank you for allowing us to enjoy your ‘little bit of Cornish heaven’ it really is idyllic. We had a wonderful time and thanks for the welcoming bottle of wine which we ‘sampled’ on the patio. Cottage Review: I cannot tell you what a superb week we had. The weather was absolutely fantastic and the cottage was beautiful. Your directions were very good and we found it straight off! When we arrived and saw the cottage for the first time we were astounded at its beauty! 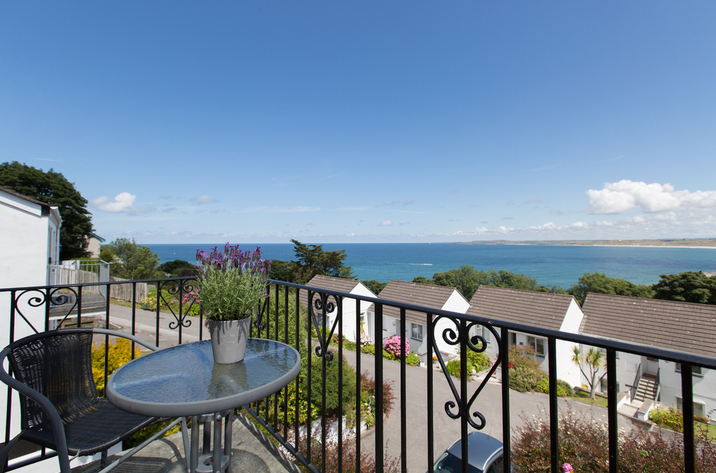 Cottage Review: We thoroughly enjoyed our stay in your little bit of paradise and can well understand why you chose that spot for a holiday home. How lovely to be able to escape the rat race to the peace and quiet of North Cornwall. We hope it will be possible to spend another holiday in your Mill sometime during the next year or two. Cottage Review: We had a super week at Anderton Mill. Thank you both for allowing us to share in what is such a beautifully tranquil and quite magical place. It really does show you it is possible to literally get away from it all! Cottage Review: We had a wonderful week and your cottage surpassed all expectations. It was enchanting! The weather was superb and we found your information very helpful. Thank you so much. We will return. Cottage Review: Very many thanks for the use of your beautiful cottage. It really is like something out of a children’s story book.